Dwarf alpine Bottlebrush that we like most as a clipped hedge. 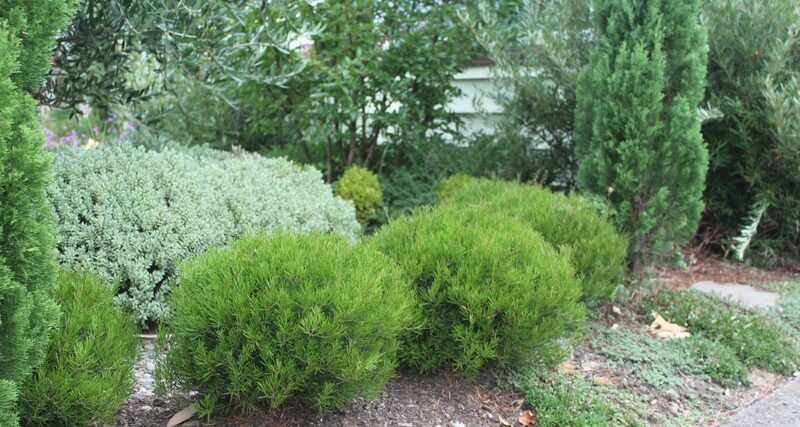 Dense rounded shrub composed of fine olive green needles. To 3′ x 3′ in time. Full sun and very little water when established. It can also tolerate regular summer irrigation. 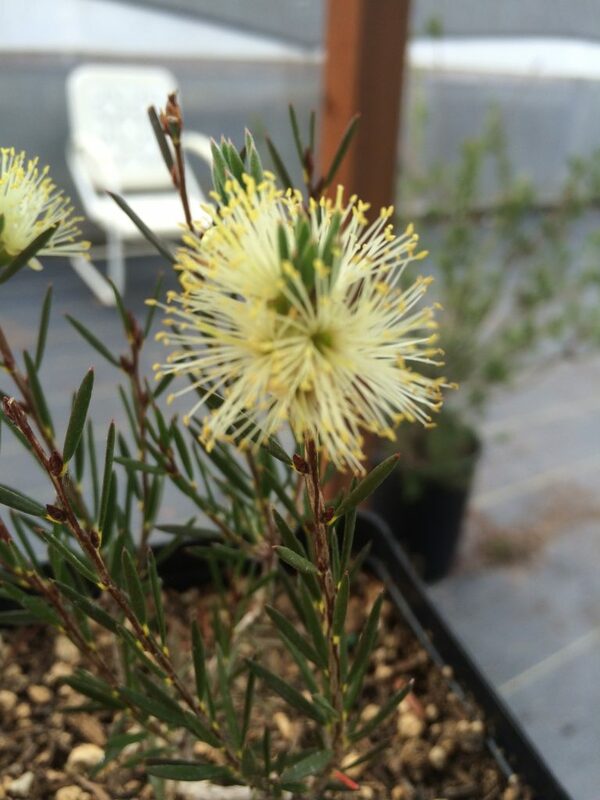 Sporadically, in spring starry cream colored bottlebrush flowers appear. Extremely hardy to cold and very deer resistant evergreen. Alpine Australia. This durable shrub with a fine texture makes a fantastic clipped hedge. It can be trained as one solid shrub or separated into spheres. Pruning is done just once a year in early summer. This can sacrifice blooms but the effect is striking for a small cold hardy, drought tolerant, low prune hedge.